Homilien zu Samuel I, zum Hohelied und zu den Propheten. Kommentar zum Hohelied, in Rufins und Hieronymus’ Übersetzung. The thirty-third volume of Die Griechischen Christlichen Schriftsteller, usually abbreviated GCS and also known as the Berlin Corpus. 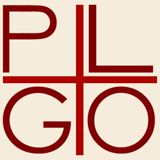 This volume is also the eighth volume of the GCS’s series on Origen, containing Latin translations (by St. Jerome or Rufinus) of his homilies on Song of Songs, 1 Samuel, and several other prophets as well as his Commentary on the Song of Songs. 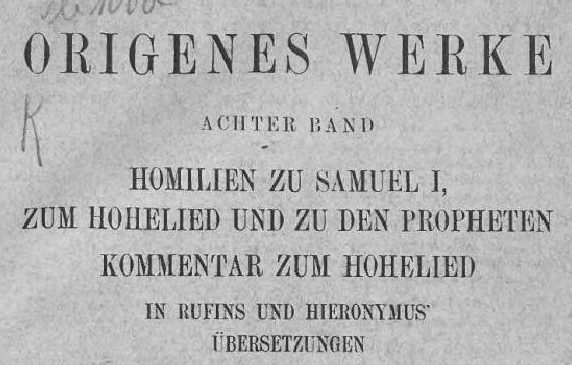 The first 7 volumes of the Origenes Werke can be accessed in this previous post.